Research Team Members, Fall 2014! Sara Sheridan is a sophomore combined Political Science and International Affairs major from Philadelphia. She is involved on-campus with the Progressive Student Alliance and has a strong interest and background in social justice, human rights, and global norms within the realms of law, environment, and technology. 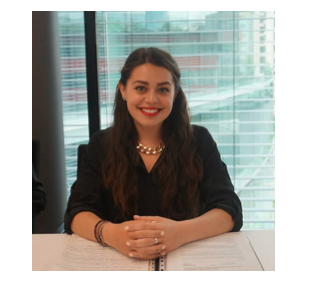 This past summer, she traveled to Geneva, Switzerland for a Dialogue program with Professor Denise Garcia where she researched human security and disarmament diplomacy with the United Nations Institute for Disarmament Research. Chelsea Mattioda is a fourth year double History and International Affairs major from Connecticut. This past spring, she completed an international co-op in London at a criminal defense law firm, followed by a summer internship program in British Parliament. She had the opportunity to travel around Europe while she was working there, and Interlaken Switzerland was her new favorite place! Two summers ago, she went on an amazing Dialogue with previous fellow research team member Leah Campbell to Argentina where she studied in Buenos Aires, then traveled to Patagonia and hiked a glacier! Carolina Mattsson is a first-year PhD student in the Network Science Program at Northeastern University, studying how network science can be applied to study questions of political science and, more specifically, international relations and development. She comes from a background in both Physics and International Relations. Currently, she is working as a research assistant for Professor Rodine-Hardy on regulatory diffusion in telecommunicaitons across international networks of regulators and companies and for Professor David Lazer on various projects. Pavitra Chari is a sophomore combined Political Science and Economics major from Lexington, MA. She is on the executive board of the Northeastern Quiz Bowl team, and enjoys the competition and trivia. She also loves debate, and frequently judges at high school tournaments. Previous postFall Semester ’14 Update!